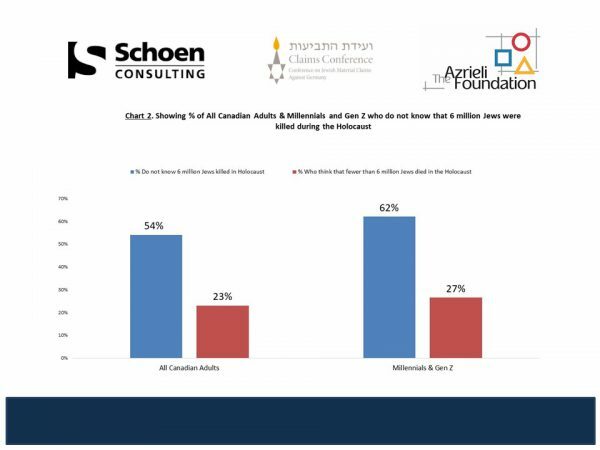 The Majority Polled Did Not Know Six Million Jews Were Killed During The Holocaust And A Stunning Near-Majority Believe There Are A Large Number Of Neo-Nazis In The U.S.
Julius Berman, President of the Claims Conference, and Naomi Azrieli, CEO and Chair of the Azrieli Foundation, jointly announced the release of a comprehensive Holocaust Knowledge and Awareness Survey of adults in Canada done in partnership with the Azrieli Foundation. 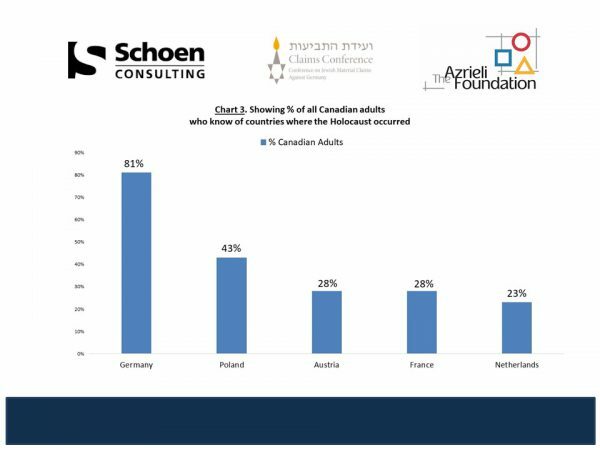 Similar to the April 2018 survey in the United States, the Canadian study found critical gaps both regarding awareness of historical basic facts and detailed knowledge of the Holocaust. 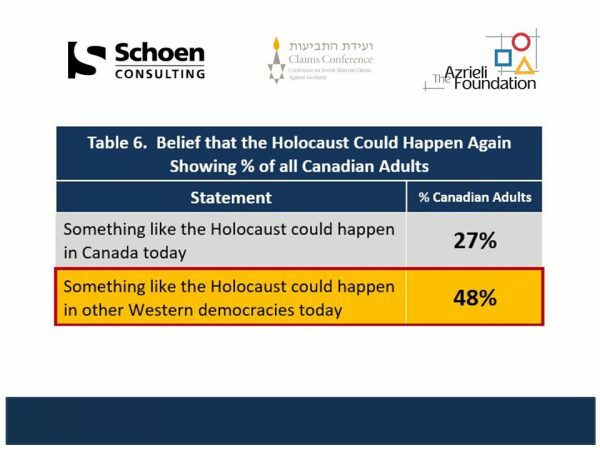 For example, 54 percent of those surveyed did not know that six million Jews were killed during the Holocaust. 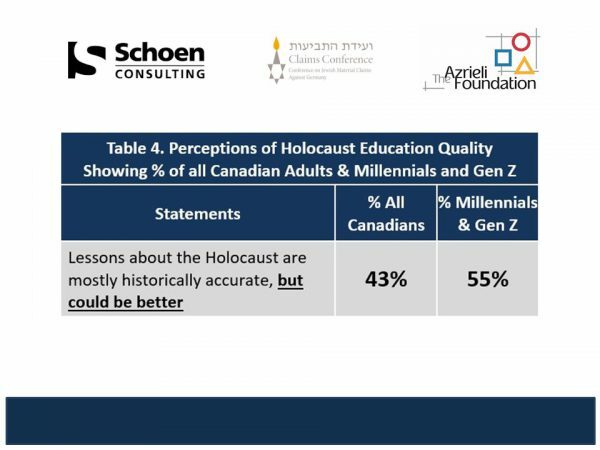 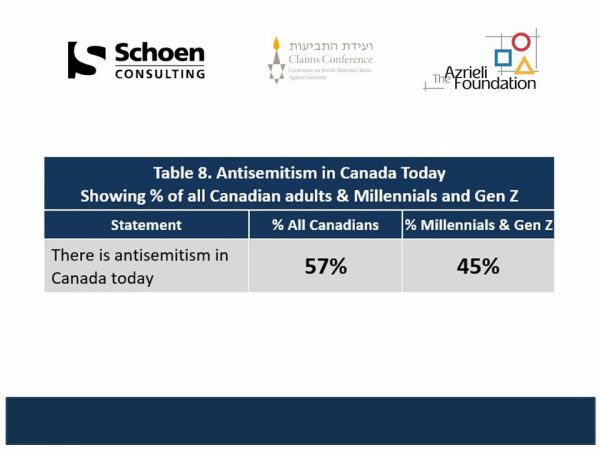 And, while a significant majority of Canadian adults believe that fewer people care about the Holocaust today than they used to, there was a broad-based consensus for providing comprehensive Holocaust education in schools across the country. 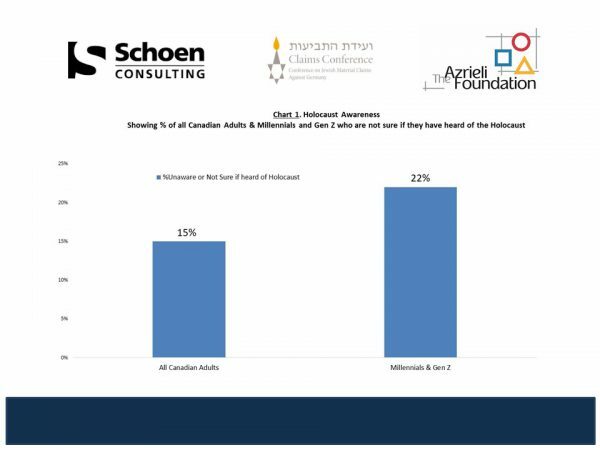 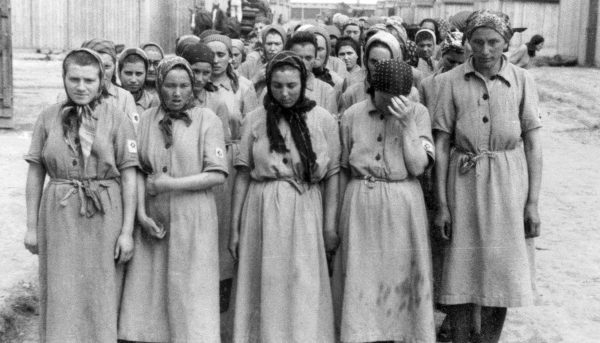 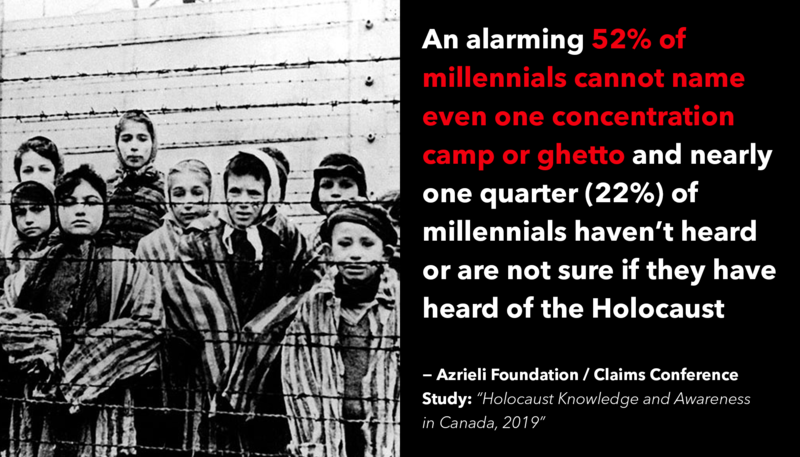 An alarming 52% of millennials cannot name even one concentration camp or ghetto and 62% of millennials did not know that six million Jews were killed in the Holocaust. 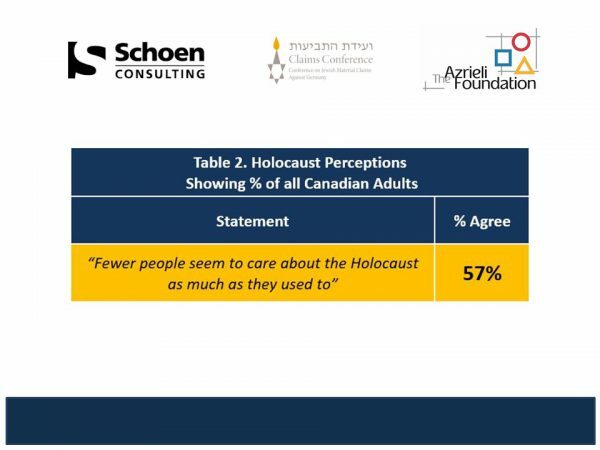 Nearly six out of ten Canadians (57 percent) say fewer people seem to care about the Holocaust than they used to. 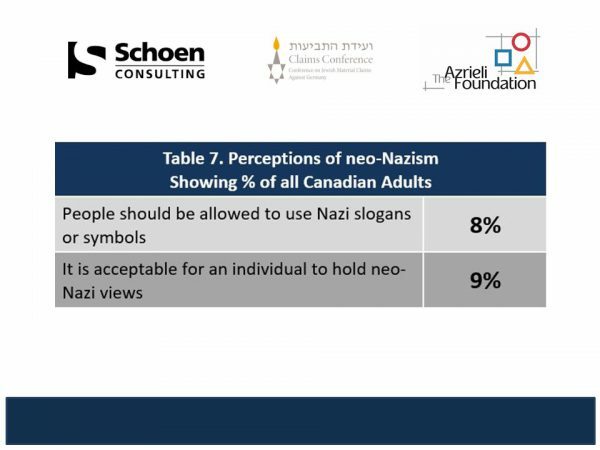 Canadian perceptions of the neo-Nazi movement in the United States are quite disturbing. 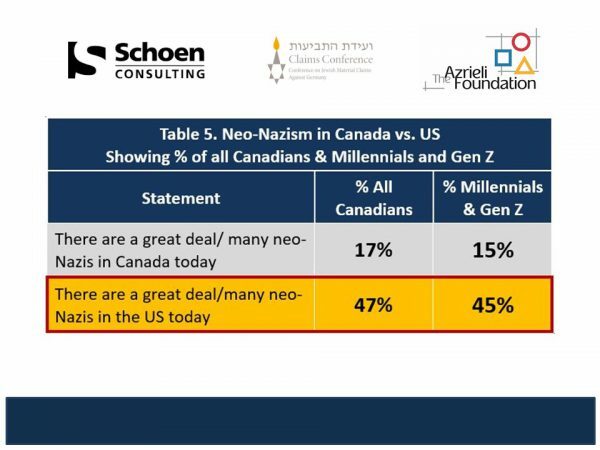 47 percent of the Canadian respondents say there are a “great deal” or “many” neo-Nazis in the U.S. compared to only 17 percent who say there are a “great deal” or “many” neo-Nazis in Canada. 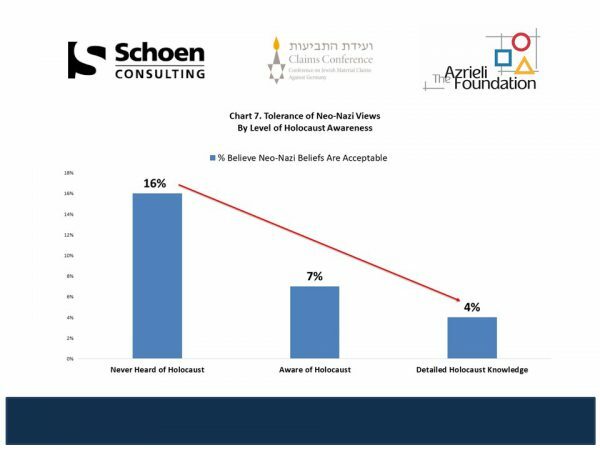 A task force, which was comprised of Holocaust survivors, as well as representatives from Holocaust museums, educational institutions, and leading nonprofits in the field of Holocaust education helped develop the survey questions. 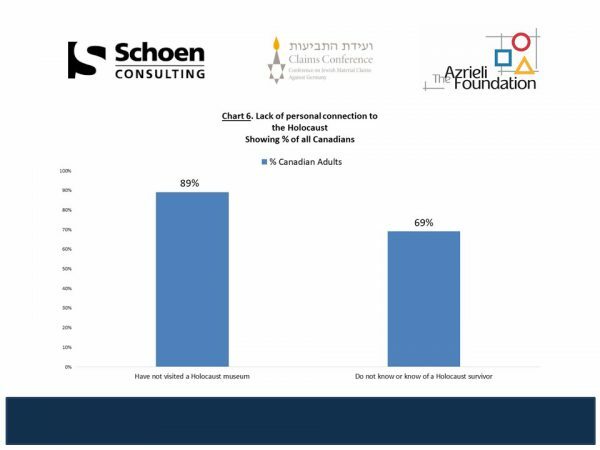 Participants in the task force included: the Azrieli Foundation, Yad Vashem, the United States Holocaust Memorial Museum, and the Claims Conference. 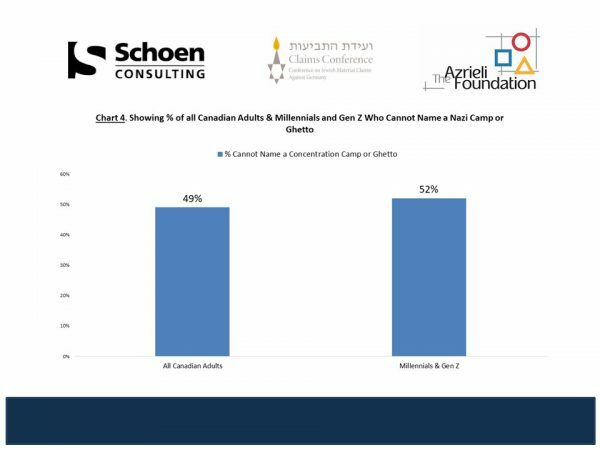 While there were over 40,000 concentration camps and ghettos in Europe during the Holocaust, 49 percent of Canadian respondents couldn’t name a single camp or ghetto, similar to the U.S. study, where 45 percent could not name one such place. 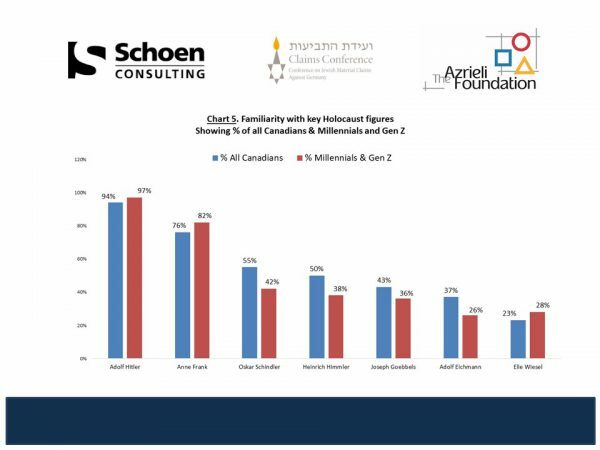 A surprising 71 percent were not familiar with Holocaust survivor icon, Elie Wiesel, and only 55 percent were familiar with Oskar Schindler, a German businessman who saved the lives of a number of Jews during the Holocaust, underscoring the need for continued education about the Holocaust. 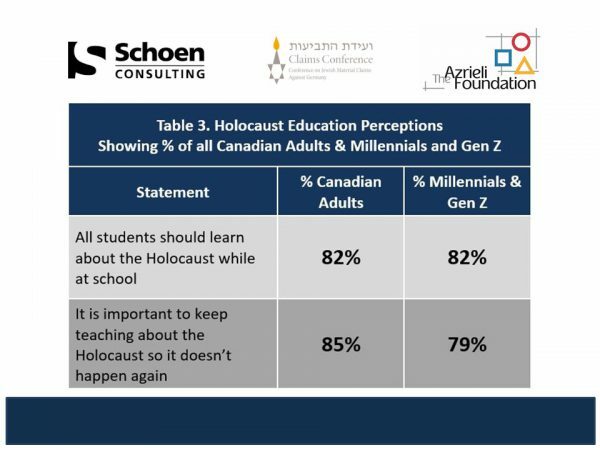 82 percent of respondents believe all students should learn about the Holocaust in school, while 85 percent said it is important to keep teaching about the Holocaust so that it does not happen again.